Shuttler H S Prannoy, who shot to fame by shocking Olympic champion Chen Long and silver medallist Lee Chong Wei in the recent Indonesia Super Series Premier, is aiming to be more consistent in his bid to win big titles. 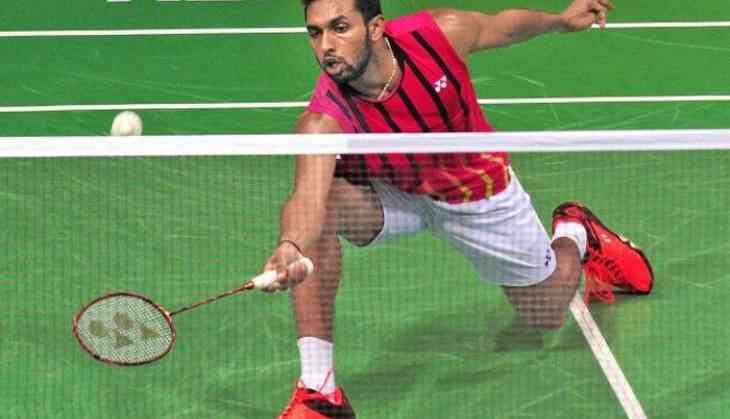 Prannoy, who is currently ranked world number 21 in men's singles, had emerged as a giant-killer when he trounced reigning Olympic silver medallist Lee Chong Wei and Olympic champion Chen Long in consecutive two days in the Indonesia Super Series Premier earlier this month. "To beat Chen Long was really, really special and to probably beat Lee Chong Wei the previous day was even more satisfying for me," Prannoy, who trains at the Gopichand Academy here, told PTI today. He, however, lost narrowly to Japan's Kazumasa Sakai in semi-finals. "It (the wins) gave me a lot of confidence but I need to be more consistent," the 24-year-old shuttler said. "I think the only thing left for me is to go and win tournaments out there. Just performing well is not enough. I have been playing well for the last three, four years. (But) it's high time that I need to win tournaments." Talking about his upcoming tournaments, Prannoy said he will be playing at US, Canada and New Zealand from next month. Prannoy emphasised that mental preparation plays an interral part in the development of an athelete. "I think I need to work really well on my mental aspect. I think just not physically, mentally also you become lot more confident. I just need to be more fitter and probably get more stronger," he said.